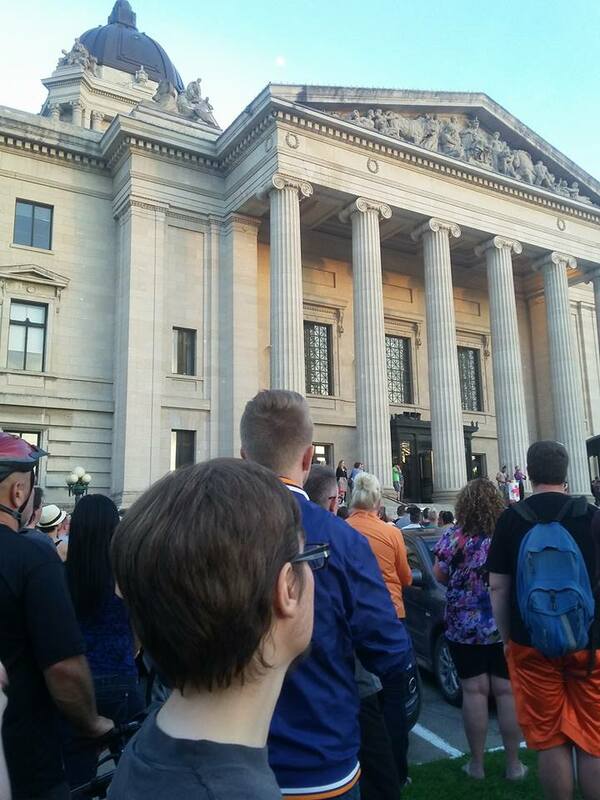 As queer parents, my partner and I carefully discussed whether to attend our local vigil in Winnipeg, Canada for the LGBT people of colour who were victims in Orlando. I’m a gay, transgender man, married to a gay man, and we are privileged to be raising a five-year-old boy, Jacob, and a twenty-month-old girl, Emily. We needed to consider how to talk to our children about what happened, if the event would be safe for them, and if we could convince our kids to behave appropriately given the circumstances that were the reason for the vigil. Our twenty-month-old toddler is going through painful teething and prefers my arms at all times, so leaving her with someone else during the vigil was not an option. The event started at 8:30pm, when our kids would usually be winding down for bed. But we wanted desperately to be there, to find our community and exchange hugs, and to show our support for the victims who were mostly young, LGBT, Latinx people. My partner and I decided that we must get there. We talked to our five-year-old about what happened using simple but honest language. We emphasized that the violence occurred in another country, and that as white people living in Canada, we are lucky to have more privilege than those who were killed or injured in Orlando. It is important for us to stand up in support of our queer siblings of colour. But as we said these things, we were also aware that other LGBT events could be targeted. A trans friend of mine who lives in Philadelphia told me that he and his partner decided not to risk taking their own young child to any pride events due to safety concerns. One parent or the other might go, but not both, and never their child. The calculations we make about personal safety and risks feel dramatically different now that we are parents. 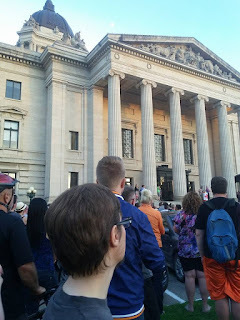 At the vigil in Winnipeg, hundreds of queer people and allies gathered, surrounded by a heavy police presence as well as ambulances and fire trucks that lined the block. I felt deeply moved by the words of an officer who spoke on behalf of police to let us know that they and other first responders are here for our community, doing their best to keep us safe. Simultaneously, I thought of trans friends I know who have experienced discrimination and violence at the hands of police. I’m not talking about decades ago at the Stonewall riots, but personal friends in Canada and in the US who continue to endure police brutality. As politicians and community leaders spoke and lit candles, we struggled to find the right balance as parents at the event. A family sitting next to ours on the grass had brought ninja turtles for their children to play with. After a few minutes of trying to listen to the speeches whilst our children gazed with rapt attention at the other children’s sickeningly inappropriate gunplay, we moved elsewhere. My toddler needed to pee about half a dozen times, so I kept whisking her over to some nearby bushes and then returning to the crowd. She and her brother ran up and down a small hill, but didn’t make too much noise, and hopefully didn’t disturb others. At one point, a man with a walker came through and I hastily grabbed both children to prevent them from tripping him, while listening to a community organizer speaking out against Islamophobia. After the main speeches were over and some balloons released to the sky, our kids were absolutely finished. It was 10 pm. A lawyer we hadn’t seen for years approached to greet us but we had to hurry away. During the car ride home, when all I wanted to do was reflect quietly, I sang cheerfully to our toddler who was constantly on the verge of screaming from exhaustion but could not seem to fall asleep. After becoming parents we got busy and our priorities changed. We haven’t been to a gay bar in years. We connect to our queer community much more easily online than we do in person. Other queer parents we know posted to Facebook to say they were at the vigil in spirit but needed to stay home for bedtime. For any parent, often already tired from sleepless nights and working during the day, it takes a huge amount of energy to get kids out to an event like this one and address their many questions and various behaviors while paying one’s own respects. Add to this the daily stresses of being a trans or non-binary person and it can become overwhelming. 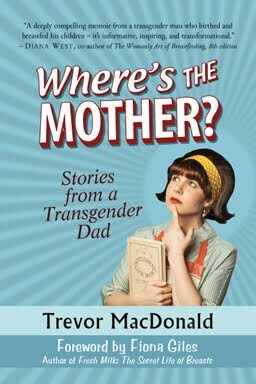 Yet, my partner and I are fearful of what our kids will face when they enter the public school system http://www.milkjunkies.net/2016/04/teaching-my-child-about-transphobia-our.html and broader society. Now more than ever, we feel motivated to do our best to be involved in our community and to promote tolerance and diversity. First, we must take care of ourselves and survive. And then when we can, for the sake of our own children and LGBT youth everywhere, we must attend the vigils, we must speak out, we must stand up for vulnerable people, we must lead by example, and change the world for the better. I saw your history in the guardian and I thought: this is so awesome!I just wanted the world to be better for you guys, because you deserve the better. I'm a christian but I feel ashamed of some "christians" out there. I don't know if you believe in God, it doens't matter if you believe, but I believe that God loves us all. So just ignore that religious people that just have hate in their hearts! I wish you to be happy and blessed with your son. You are both brave, keep going! Without a solid plan, your parenting skills may be put to the test more than you wish they would be and you may wind up making some awkward decisions that could greatly affect your family.